The Yeshua Project was formed out of three organizations partnering together to share the Gospel with Israelis: Kehilat haCarmel, Heart of G-d Ministries, and Tree of Life Ministries. By producing quality booklets, videos, and websites and equipping believers to share the Good News, we’re able to reach people right where they are – whether they be online or on the street. 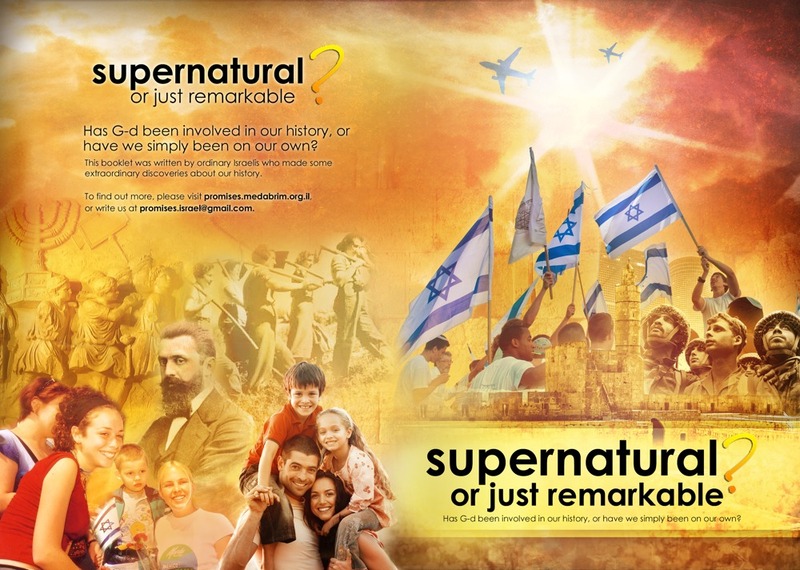 Get the “Supernatural or just Remarkable?” booklet. Please partner with us as we share the Gospel in Israel. We’ve had the privilege of being involved in a number of outreaches on the Jewish holidays and in the summer, with various roles including acting, singing, dancing, and preaching the Gospel. We’ve run several multiple-day events with over 100 participants, over half of whom were non-believers. Many are seeing the light and love of Yeshua and coming forward to receive Him as their Messiah. For some events, whole busloads of Israeli non-believers have come and heard the Gospel.